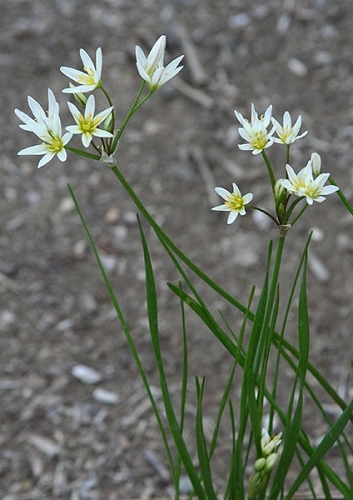 Also known as "Crow Poison," false garlic is one of the first native wildflowers to bloom in spring. It often will bloom again in the fall after warm rains; however, during most of the hot summer it is dormant (Woodland spiderwort (T. Ernestiana) also behaves this way). False garlic tolerates a variety of growing conditions. It is an inconspicuous plant that many people dismiss as just a small tuft of grass until the tiny, showy, white flowers appear in March. It is uncertain whether false garlic is toxic to people (or crows).